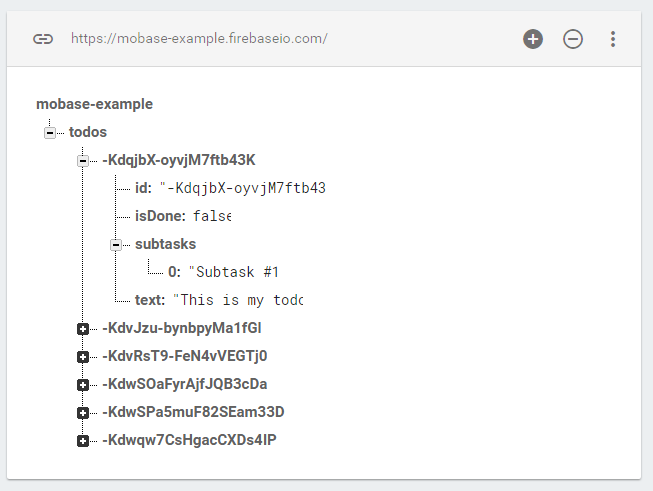 mobase helps you to create MobX-powered Firebase-syncronised reactive Mobase stores in a simple and intuitive manner. MobaseStore has a MobX map as a collection of elements (items) at the core. It supports most MobX maps&apos; methods like values(), entries(), size, etc..